Cold laser therapy or low-level laser therapy (LLLT) has been used for years on patients seeking effective, alternative methods of pain relief. In fact, cold laser procedures are an excellent option for patients who require treatment, but who prefer to avoid medication or invasive treatments. Cold laser therapy is a non-invasive procedure meaning that it does not heat or cut the tissue, unlike high intensity lasers. This means that there is no prolonged recovery time. The laser works at a cellular level by utilizing specific wavelengths of light to interact with your tissue which helps to accelerate your body’s natural healing mechanism. Cold laser therapy has been used to treat a broad range of both acute and chronic conditions including migraine headaches, neck, back and knee pain, arthritis, sports injuries, frozen shoulder, tendonitis and carpal tunnel syndrome, to name a few. Cold laser therapy does not mask pain or only address the symptoms of the disease like many pharmacological treatments. It treats the underlying condition to promote healing. This means that the benefits of cold laser therapy gives maximum opportunity for repairing damaged tissue in the shortest amount of time. Cold laser therapy can be easily administered. The cold lasers are handheld devices often the size of a flashlight. Clinicians place the laser directly over the affected area for 30 seconds to several minutes, depending on the size of the area being treated and the dose provided by the cold laser unit. It is quick and painless! Please note that cold laser therapy has definitely shown major benefits for chronic pain sufferers, but the healing response time may not be as quick as when compared to acute sufferers. While each session only takes a few minutes, it may take a series of treatments before you can gauge its effectiveness. Overall, cold laser therapy can help eliminate pain, swelling, reduce spasms and increase functionality, thereby relieving those pain-filled days and sleepless nights, ultimately giving you your life back. 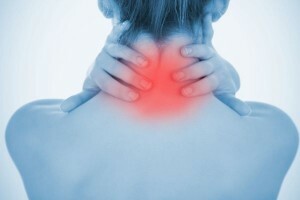 Call us here at Calgary Laserworks today to discuss how we can help alleviate your pain.